I finished Step 4 of the Mystery Shawl last night. This was a really easy zigzag pattern, but you had to pay attention because there was a Knit One between each Yarn Over and its decrease. Normally they are right next to each other, or several stitches away from each other. I've never seen it with one stitch between them. It made a chevron pattern that is kind of 3 dimensional. I don't know if it will stay that way once its blocked or if it will flatten out. 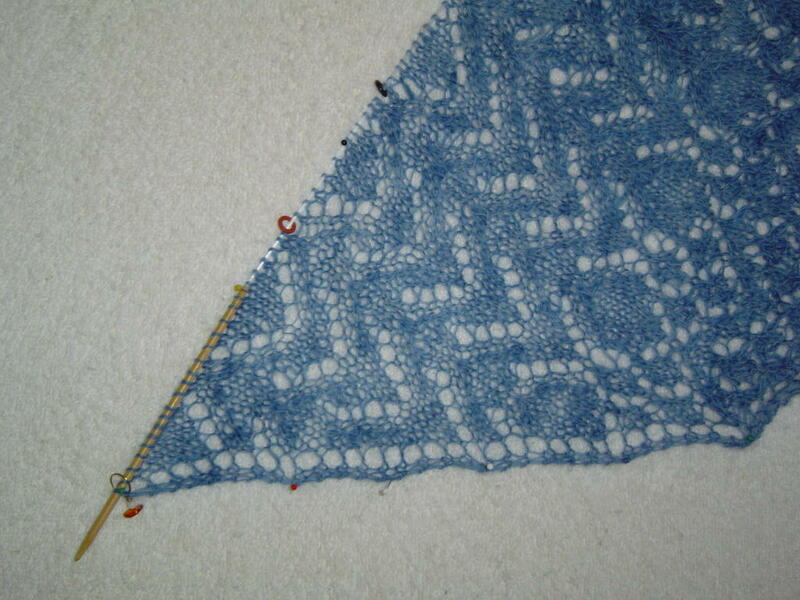 On Friday we get the last set of directions for this shawl so I'll get to finish it up and see what it looks like. This yarn is great to knit with, but its very hard to see what the pattern looks like. I can't wait to block it so I can see the whole thing at once!